Black Cinematique is screening American Blackout at Muhummad Mosque #48 on 2429 Martin Luther King BLVD in South Dallas. The screening will take place this Friday, February 22. American Blackout chronicles the recurring patterns of voter disenfranchisement from Florida 2000 to Ohio 2004 while following the story of former Georgia Congresswoman Cynthia McKinney. McKinney not only took an active role investigating these election debacles, but has found herself in the middle of her own after publicly questioning the Bush Administration about the 9/11 terrorist attacks. The event starts at 7:00 p.m. with a discussion to follow lead by Dallas Branch NAACP President Casey Thomas. 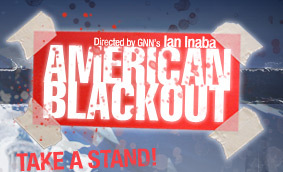 The screening of American Blackout is free of charge.